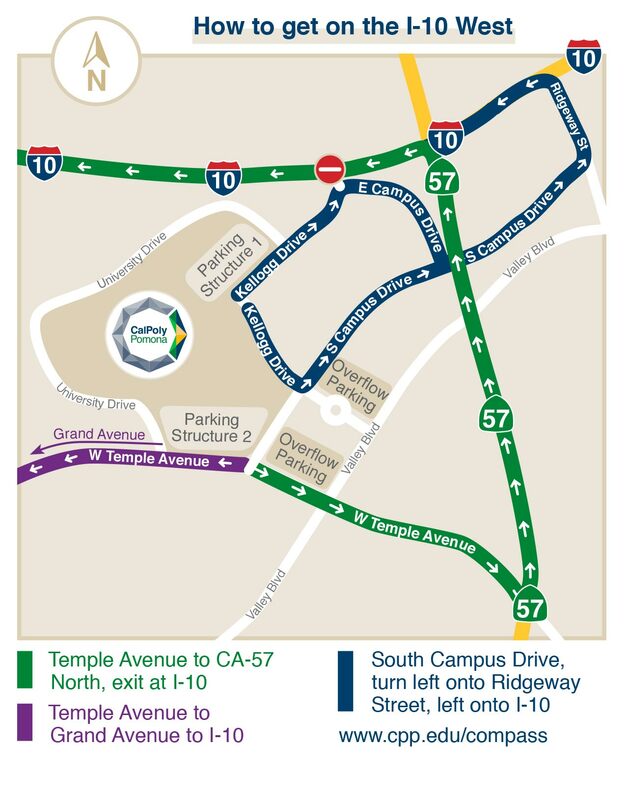 Caltrans will be closing the westbound San Bernardino Freeway (I-10) on-ramp at Kellogg Drive in early May. This is part of the Caltrans High Occupancy Vehicle Lane Project that will add an HOV lane to I-10, helping to alleviate traffic congestion. Caltrans has not provided an exact date for the start of the closure. Cal Poly Pomona will continue to communicate with Caltrans and share updates with the campus community. The on-ramp closure is expected to last 90 days. The Waze app allows you to share and receive real-time traffic and road information with other drivers in your area. Download the app. For real-time updates on freeway conditions in your area and the commute to Cal Poly Pomona, go to Caltrans’ Quickmap. Details about the San Bernardino Freeway High-Occupancy Vehicle Lane Project, background information, completion schedule and FAQs are available at Caltrans District 7 Project webpage. Summary of Project: The installation of security doors with card readers on the second and third floors and in stairwells of Building 121 (Student Services Building) will begin on Tuesday, April 16. Crews are scheduled to work nightly on weekdays from 9 p.m. to 6 a.m. to avoid disturbing building occupants. The work is expected to take four to six weeks to complete. Reason for Disruption: Additional security doors on the northeast section of the building facing the parking lot and in Student Affairs will provide added security for confidential files in those areas. How does this affect me? Construction work will be performed after business hours to avoid disruptions to occupants of the building. What do I need to do? Please share this information with others in the building who may not have received this message. For any questions or more information, please contact: Bruyn Bevans, senior project manager, at Ext. 5517. Summary of disruption: Elevator No. 3 in Building 4 (Biotechnology Building) is out of service. While the elevator is out of service, use alternate elevators or stairwells. For any questions or more information, please contact: Facilities Customer Service (Ext. 3030). Reason for disruption: The region is in the midst of the rainy season. Facilities Management wants to assure the campus community that the department is being proactive and is implementing measures to minimize leaks, flooding and other potential damage. How does this affect me? These types of disruptions are not easily resolved and can be ongoing. Please be assured that Facilities Management is prepared to mitigate impacts from the storm. What do I need to do? Should your office, classroom or laboratory encounter a water leak or other problem caused by the storm, please report the incident to Facilities Customer Service at Ext. 3030. In addition to dispatching the appropriate crew, the information will be archived in our database. For any questions or more information, please contact: Facilities Customer Service at Ext. 3030. Summary of disruption: Facilities Planning & Management will repair the fire sprinkler system in 11 buildings starting on Tuesday, April 2. The work is scheduled to be completed on Thursday, April 5. Repair work will take place in hallways, offices and stairwells from 5 a.m. to 4:30 p.m.
Reason for disruption: To ensure that the fire suppression system is working properly. How does this affect me? Alarms will sound intermittently throughout the day. Some doors may close automatically during testing. Facilities staff members will be on standby to open doors if necessary. The reconfigured Parking Lot C contains approximately 150 spaces. Who will be allowed to park Lot C? Parking Lot C is intended for campus visitors. Student, faculty and staff permits are not valid in this lot. · There are approximately 60 one-hour parking stalls intended for visitors. One-hour only parking permits for this lot must be purchased at the kiosks located in Lot C or at the information booth. · 12 stalls that comply with the Americans with Disabilities Act. · 8 spaces dedicated for medical parking permits. · Approximately 4 spaces for state vehicles. · 8 electric carts stalls with charging capabilities. · Approximately 8 spots with 15-minute limits for Uber, Lyft and other ride services, as well as short-term drop-off and pickup to the SSB. · A limited set of service stalls for campus personnel with service permits performing short-term business. These spaces are not intended for all-day use. Student permits will not be valid in Lot C. Student parking continues to be available in the parking structures and outlying lots. There will be no faculty/staff parking in this lot. Parking Lots F4 and F8 remain in use for faculty/staff. Is there a drop off zone? Who will be allowed to use it? The drop-off zone is just off Kellogg Drive and Red Gum Lane next to the SSB and is open to all campus personnel and visitors. Is there a waiting areas? Yes, there are approximately 8 stalls designated for 15-minute parking. The lot will contain spaces for vendors and off-campus service personnel who come to the campus to provide services. A new information booth in the drop-off area is currently being designed. Is there electric vehicle parking? There are no new electric vehicle charging stations in Lot C. Charging stations remain available in Parking Lot K and Parking Structure 2. Where is the designated golf cart parking area? There are eight stalls designated for golf carts with charging capabilities. When will enforcement in Lot C begin? UPD will begin enforcement of Lot C on Tuesday, Jan. 22. 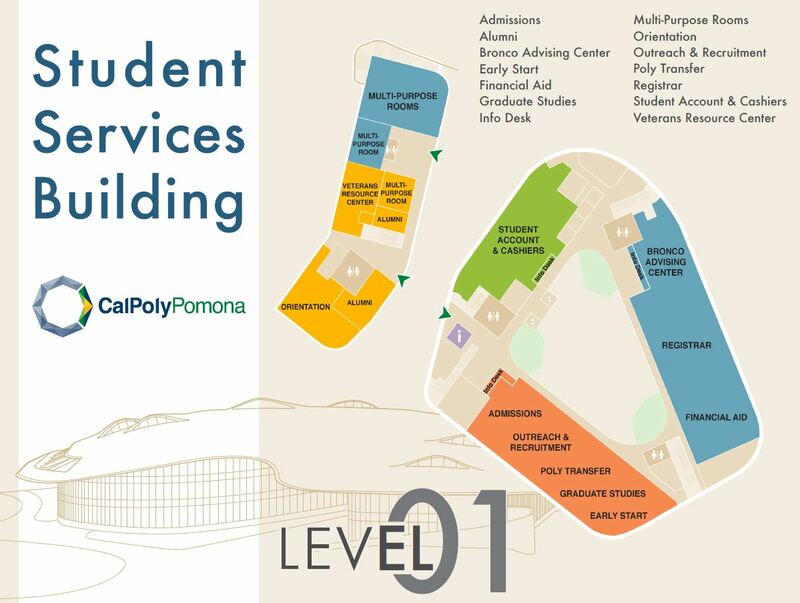 Learn where services are located in the new Student Services Building. To borrow the mantra of the real-estate industry, delivering on Cal Poly Pomona’s pledge of student success boils down to one detail: location, location, location. The Office of Student Success on the seventh floor of the CLA Building oversees initiatives and programs that assist students, while the Bronco Advising Center ensures that students are making strides on their academic paths. 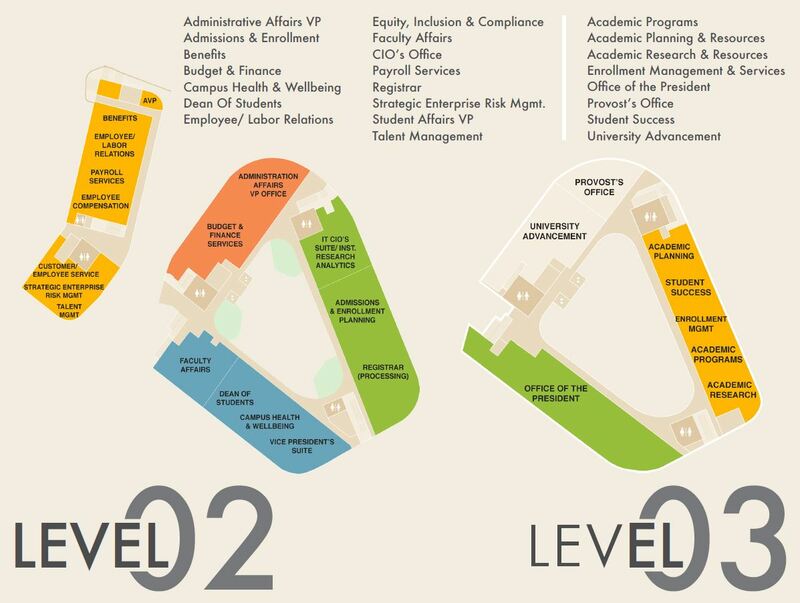 These two centers that drive student success are separated by five floors, several elevators and a long corridor in the CLA.